Hi guys, Nowadays everybody try to learn programming online. Though learning programming is not a child's play. You have to maximize your thinking capability for that. There are various resources available online through which you can get the desired knowledge. But it’s important that you have suitable sources to learn Programming online. There are various sites that actually providing programming stuff. Some of them providing text content and some of them are providing video Contents. There are also some online sites which take some charges for programming video tutorials. It is upto you to whom you select for learning programming Online. Today in this post I have listed top programming channels on YouTube that actually helps you to learn programming online. You may know about some of them. Why you should learn programming through video tutorials? Why YouTube is best for programming stuff? Well, YouTube provides free videos on programming. 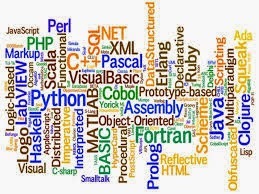 You can easily find programming tutorials available in different languages. You don’t have to pay any charges to YouTube for video tutorials. Only one thing to pay is your time! So YouTube is best than any other platform to learn programming online. It provides beginner level videos of different programming language like c,c++,vb.net, .net ,android tutorials etc.It is also good channel for beginners to learn programming free on YouTube. It provides programming as well as non programming stuff. But for programming stuff it have so many tutorials of c++ language. One can easily understand the concepts of c++ from this channel. Please note that it only provides c++ programming video tutorials. You can only learn c++ here. This channel is specially designed for php learners. If you want to learn php online, you can easily learn php through this awesome channel online. Oh man! This channel is awesome. It is like newboston.This is my most favorite YouTube channel for programming. You can easily find different type of Programming tutorials free here like newboston. I must say, if you guys want to learn c/c++ in detail then you should select this channel in YouTube.It also provide java video tutorials free. It covers more advanced guide of c++ .